Rodriguez is the Director of Program Services, Bureau of Workforce Development, Illinois Department of Commerce & Economic Opportunity ( DCEO ) . He has been working in the field of human services for the last 20+ years both in a direct service capacity and at the senior management level. Rodriguez has also served on a number of other local, state and national boards such as the AIDS Foundation of Chicago, the Mayor’s Advisory Council on Gay and Lesbian Issues, the Illinois Latino Prevention Network, Illinois Anti-Violence Authority, the National AIDS Prevention Coalition and the national Latino Lesbian and Gay Organization ( LLEGO ) and the Color Triangle. He has been serving on the Board of the Center on Halsted, the new gay, lesbian, bisexual and transgender community center of Chicago, for the last eight years. 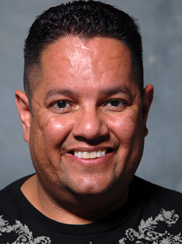 He is a native of Chicago, Puerto Rican and has a degree in business from DePaul University. In 2004, he was inducted into the Chicago Gay and Lesbian Hall of Fame. He was the recipient of the Community Leadership Award for Philanthropy in 2003 from the Chicago Latinos in Philanthropy. The International Who’s Who for Public Service inducted Rodriguez into there membership in 2001.